A power morcellator is a surgical device used to break up large masses of tissues into smaller pieces. The tools are often used during laparoscopic surgery, a minimally invasive surgical procedure that involves making small incisions in the abdomen and using a video camera to see inside the body. Surgeons use power morcellators to cut up large amounts of tissue or organs so they can be removed through the small incisions in the abdomen. Laparoscopic surgery is often used in lieu of traditional “open” surgical techniques because it usually results in quicker recovery times and shorter hospital stays for patients. What are power morcellators used for? Power morcellators can be used during a number of laparoscopic surgical procedures, including gynecological procedures like hysterectomies and myomectomies. A myomectomy is a surgical procedure that involves removing uterine fibroids. Unlike a hysterectomy, a myomectomy allows the uterus to stay in place. This is the preferred fibroid treatment for women who want to become pregnant. When did the FDA first approve power morcellators? The FDA approved the first laparoscopic power morcellator in 1991. 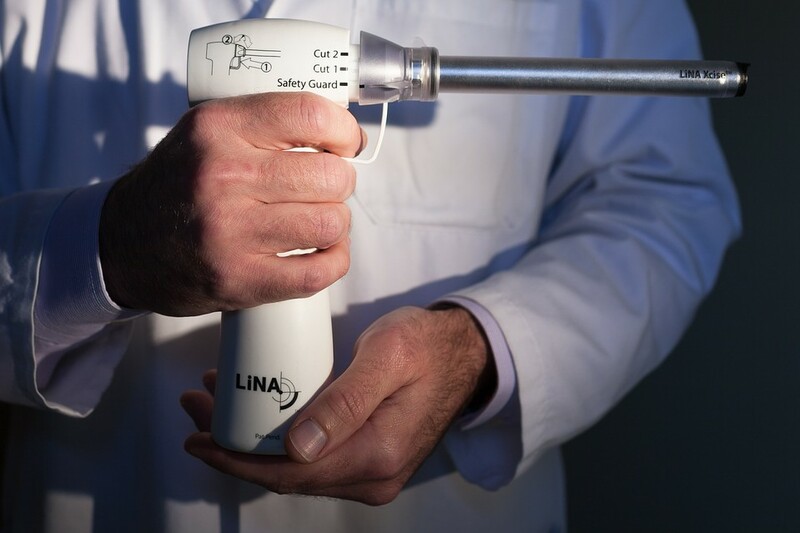 The first power morcellator with a gynecological indication was approved in 1995. The KSE Steiner Electromechanic Morcellator was approved for use on May 25, 1995. It was manufactured by Karl Storz Endoscopy America Inc.
What are the possible risks associated with power morcellators? Power morcellators are used to assist doctors during minimally invasive surgical procedures. Minimally invasive procedures have many benefits to patients, including quicker recovery times and less discomfort after surgery. Despite the benefits of minimally invasive surgery, power morcellators used during these procedures can cause potentially serious problems. There is a risk of injury to surrounding organs when undergoing surgery with a power morcellator. The blades of the morcellator can knick abdominal organs, such as the bladder, bowel, ureters, pancreas, and spleen, even blood vessels. Evidence suggests morcellated tissues left in the body after surgery can develop into parasitic myomas (fibroids). Parasitic myomas are fibroids made of uterine tissue located in other parts of the body. They often attach themselves to other tissues or organs where they derive a blood supply and grow. Parasitic myomas are typically noncancerous but can lead to abdominal pain and other side effects. One case report published in the Journal of Gynecological Endoscopy and Surgery in 2009 reported on a woman who developed a parasitic myoma after undergoing a myomectomy using a power morcellator. Doctors found the growing parasitic myoma three years after her initial surgery when she complained about severe pain in her abdomen. Doctors found a mass made of uterine tissue attached to the tissues in her stomach. The case report authors concluded “all tissue pieces that are morcellated should be diligently removed” to reduce the risk of parasitic myomas. Laparoscopic power morcellation can spread tissues throughout the abdomen; in some cases this can lead to parasitic myomas, in others it can lead to the spread of undiagnosed cancer. About 1 in 350 women who undergo a hysterectomy or myomectomy for the treatment of fibroids have unsuspected uterine sarcoma, a type of uterine cancer that includes leiomyosarcoma, according to the FDA. When a power morcellator is used to break up tissues in a woman who has undiagnosed cancer, it could spread those cancerous cells throughout her abdomen and pelvis, spreading the cancer and significantly worsening her chances of long-term survival. Has the FDA issued any warnings about power morcellators? Yes, the FDA has issued several warnings regarding the use of power morcellators during certain gynecological procedures. On April 17, 2014, the FDA issued a warning about the risk of power morcellators spreading occult (unknown) cancer in women undergoing hysterectomies or myomectomies. The alert warned the devices can spread cancer beyond the uterus, severely worsening a woman’s chances of long-term survival. There is also no reliable method for predicting whether a woman with fibroids may have a uterine sarcoma. For these reasons, the agency said it discouraged the use of power morcellators during hysterectomies or myomectomies for uterine fibroids. The FDA also said it would organize a meeting of the Obstetrics and Gynecological Medical Device Advisory Committee to discuss the clinical role of power morcellators in the treatment of uterine fibroids and whether or not a “black box” warning should be included on the product’s label. On November 24, 2014, the FDA updated its April 17 safety communication to include an analysis of scientific literature and discussions from the Obstetrics and Gynecological Medical Device Advisory Committee (OGMDAC) meeting. About 1 in 350 women who underwent a hysterectomy or myomectomy for uterine fibroids were found to have unsuspected uterine sarcoma – a risk the FDA said may be higher than previously thought. The prevalence of unsuspected uterine leiomyosarcoma is about 1 in 498. Based on discussions from the OGMDAC’s July meeting, the FDA concluded the labels of all power morcellators should include a boxed warning. “Black box” warnings are the FDA’s strictest warning for medical devices and drugs, indicating there is reasonable evidence of a serious hazard associated with the product. Are there alternatives to using power morcellators? Evidence suggests vaginal hysterectomies are associated with better results and fewer complications than laparoscopic or abdominal hysterectomy, according to the FDA. In April 2016, the FDA announced it had approved a first-of-its-kind containment system to trap tissue cut by power morcellators and prevent them from spreading throughout the abdominal cavity. It is essentially a bag that is inserted into the abdomen during surgery. Tissue that is slated for removal, such as the uterus, is placed inside the bag, where it is morcellated and removed. PneumoLiner, manufactured by Ireland-based Advanced Surgical Concepts Ltd., was approved on April 7, 2016. According to the FDA, it should only be used in patients who are not suspected to have cancer. The agency is also requiring Advanced Surgical Concepts to warn patients and physicians about the risk of spreading cancer during the procedure. Have power morcellators been recalled? Despite issuing several safety communications and requiring a “black box” warning on all labels, the FDA has not issued a recall of power morcellators currently on the market. Some manufacturers have voluntarily recalled or stopped sales of their power morcellators. Most notably, Johnson & Johnson’s Ethicon division suspended global sales of its morcellators following the FDA’s April safety communication. Soon after the Obstetrics and Gynecological Medical Device Advisory Committee convened for a meeting over power morcellators in July 2014, the company issued a voluntary recall of its morcellator products. Are there lawsuits against the makers of power morcellators? Yes. There is a multidistrict litigation (MDL) pending in the U.S. District Court for the District of Kansas. About 31 cases against Johnson & Johnson’s Ethicon Division are currently pending in the MDL with Sr. District Judge Kathryn H Vratil presiding. This product liability litigation alleges Ethicon Inc. knew of the risks associated with its power morcellators but failed to warn the public about those risks. Unlike class action lawsuits, each case in an MDL is heard individually and any settlement or judgment is made for each individual case. There are also power morcellator cases pending in state courts throughout the country which are not part of the federal MDL. Have any settlements been made in power morcellator cases? Yes. Johnson & Johnson began settling power morcellator cases this year, settling nearly 70 cases before March 16, 2016. Some of the company’s settlements have ranged from about $100,000 to $1 million, according to the Wall Street Journal. According to attorneys, Johnson & Johnson is in talks to settle more morcellator cases, including cases pending in state courts. 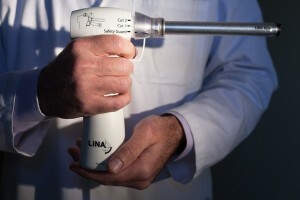 The first power morcellator case to settle was against manufacturer LiNA Medical. The company settled the case in 2015 for an undisclosed amount just days before it was scheduled to go to trial. I was diagnosed with cancer after a power morcellator was used during my surgery. Can I file a lawsuit? The experienced lawyers and attorneys at National Injury Help can help determine if you are eligible for a large settlement for your power morcellator injury. With power morcellator cases already settling out of court, it is important that you act now. Finding out if you are eligible is free; simply fill out the form on the right-hand side of your screen or call us at 1-800-214-1010.